NECA has released official packaging photos for their upcoming A Nightmare on Elm Street Deluxe Accessory Pack for their 7? scale Freddy Krueger figures. The set includes a Freddy TV, a Freddy Worm and two Elm Street signs. This set is scheduled for a December release. Click the headline of the story for the new photos. 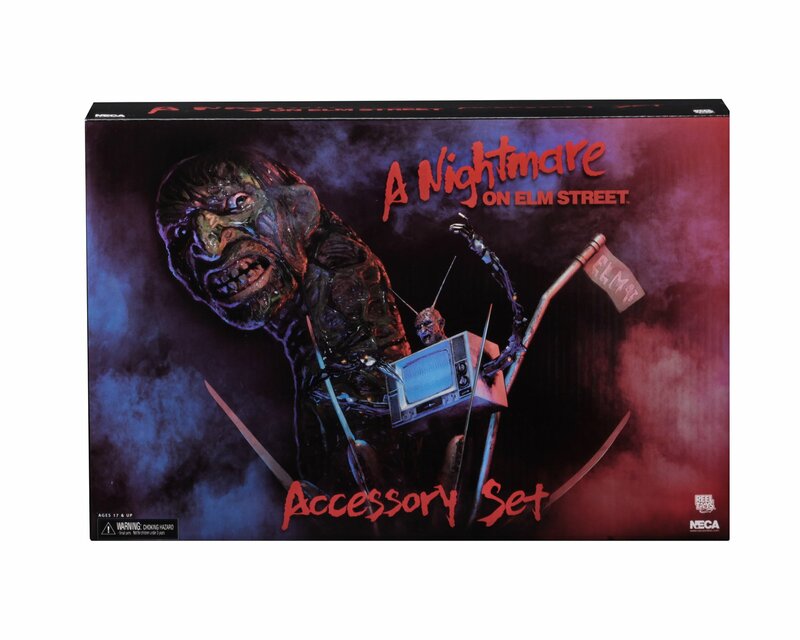 Build amazing scenes from the Nightmare on Elm Street movies with this new deluxe accessory set! These incredible pieces are perfectly in scale with NECA’s line of 7? figures and include some truly iconic pieces from the cult classic horror movies. The set comes &#187; Continue Reading. The post Packaging Photos for A Nightmare on Elm Street Deluxe Accessory Pack by NECA appeared first on The Toyark - News.